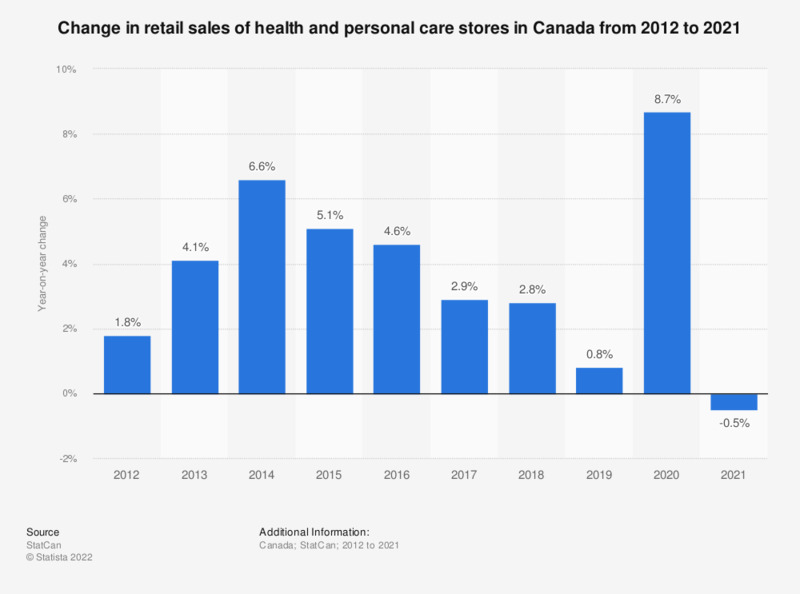 This statistic shows the annual change in retail sales of health and personal care stores in Canada from 2012 to 2016, with the monthly change in December of each year provided for 2017 and 2018. Retail sales of health and personal care stores in Canada increased by 2.8 percent in December 2018 compared to December 2017. ** As of 2017 the source stopped providing annual change figures, instead providing monthly change figures for December of each year. Data from 2012 to 2017 are taken from previous reports. Everything On "Cosmetics in Canada" in One Document: Edited and Divided into Handy Chapters. Including Detailed References. Statistics on "Cosmetics in Canada"
How often do you make a major change to your beauty routines in terms of products/activities?